Madhukar Bagla is the only son of a doting mother, who runs a lakeside restaurant. She wants the best for her boy but he is smitten from afar with Parthavi Singh, daughter of a renowned politician. Eventually, Madhukar and Parthavi meet at a village fair and a mutual attraction sparks desire. Their two families oppose the burgeoning romance but Madhukar and Parthavi are determined to be together, regardless of the consequences. Sorry! 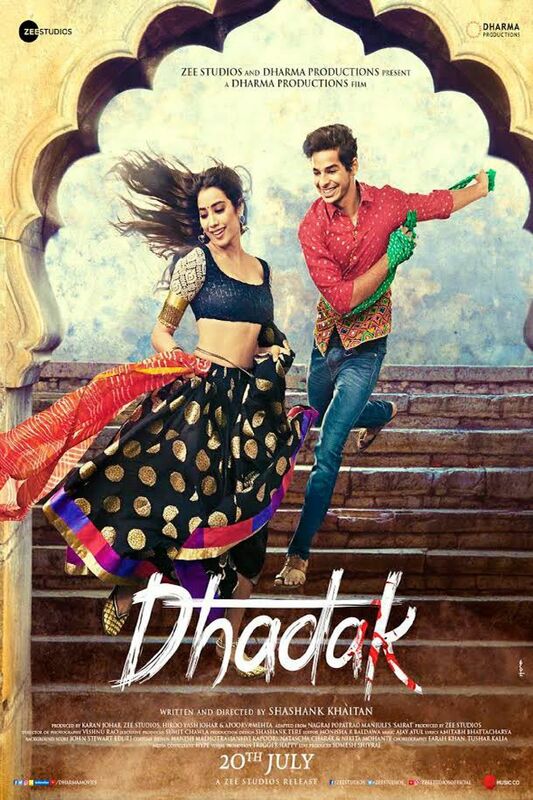 It looks like Dhadak left London cinemas pretty quickly and won't be back any time soon. Please do check back in with us anytime to see if things change though - we like to keep on top of as many Bollywood releases as we can! If you happen to know anything more about Dhadak and its London release, please get in touch on Twitter @LondonWalloh or email us at info@walloh.com. Thanks!